Everybody loves tropical landscape, especially me! This painting is from a few years back and depicts a much beloved part of our community. 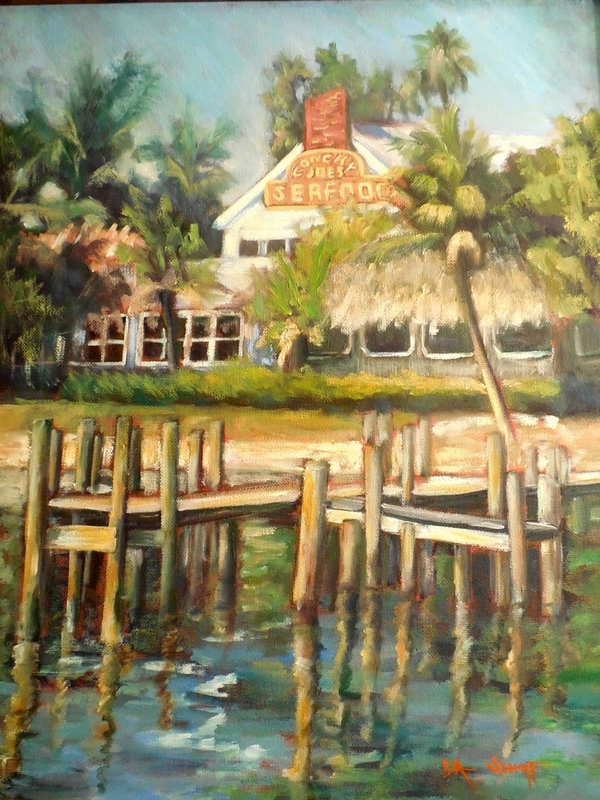 "Conchy Joe's" was a seafood eatery located on the banks of the intracoastal waterway. The original has sold, but I am pleased to be able to offer a giclee print at the link under the image. The eatery is still there, but under a new name and for me, much of the charm has been lost. I am glad I painted this scene, while it was a popular and vibrant location, filled with local memorabilia. This painting was featured as the Art Works poster art several years ago.